We, Hello Sunshine trading as Ski Swift, will act as an agent in the booking of your accommodation. These terms of business set out the basis on which we arrange your accommodation, acting as an agent. Your contract will be with the accommodation provider/owner (referred to from now on as the principal) and their booking conditions will apply. We advise you to obtain and read those. Please ask us for a copy if you do not have one. As agent, we accept no responsibility for the provision of the accommodation by the principal with whom you have a contract. All accommodation that we provide or that is sold through us is not an offer by us to sell any accommodation, but an invitation to you to make an offer to the principals of the accommodation. We are free to accept that offer on behalf of those principals or to reject it. We reserve the right to alter any of the advertised accommodation prices. You will be advised of the current price of the accommodation that you wish to book before your contract is confirmed. When you have chosen your accommodation and you make a request to us to book it, you must pay [a deposit] [the full cost of the booking] [the full cost of the booking if you are booking within x weeks of your arrival date] [as applicable]. [Insert your confirmation procedure eg we will send you an acknowledgement. This is not a confirmation of your booking, it is just an acknowledgment that we have received your request and have passed it on to the principal]. Your booking is confirmed and a contract between you and the principal will exist when [we send you confirmation on their behalf] [they issue a confirmation] [as applicable]. Please check your confirmation carefully and report any incorrect or incomplete information to us immediately. Please ensure that names are exactly as stated in the relevant passport. As we act only as booking agent, we have no responsibility for any errors in any documentation except where an error is made by us. If you have paid a deposit, you must pay the full balance by the balance due date notified to you. If full payment is not received by the balance due date, we will notify the principal who may cancel your booking and charge the cancellation fees set out in their booking conditions. Payments by credit card will attract a credit card charge of [£x / x%]. When you make a booking you guarantee that you have the authority to accept and do accept on behalf of your party these terms of business. This means that you are responsible for making all payments due, notifying us if any changes or cancellations are required and for receiving the confirmation and keeping your party informed. If you have any special requests (for example dietary requirements, cots or room location), please let us know at the time of booking. We will pass on all such requests to the principal, but we can't guarantee that they will be met and we will have no liability to you if they are not. Many principals require you to take out travel insurance as a condition of booking with them. In any event, we strongly advise that you take out a policy of insurance in order to cover you and your party against the cost of cancellation by you; the cost of assistance (including repatriation) in the event of accident or illness; loss of baggage and money; and other expenses. Any cancellation or amendment request must be sent to us in writing, by email, fax or post, and will take effect on the day we receive this during the hours of 9am to 5.30pm. The principal may charge the cancellation or amendment charge shown in their booking conditions (which may be as much as 100% of the cost of the travel arrangements) and in addition you must pay us the cancellation or amendment charge stated below..
We will inform you as soon as reasonably possible. If the principal offers alternative accommodation or a refund, you will need to let us know your choice within the time frame we stipulate. If you fail to do so the principal is entitled to assume you wish to receive a full refund. Your contract is with the principal and its booking conditions apply. As agent, we accept no responsibility for the provision of the accommodation by the principal. Our responsibilities are limited to making the booking in line with your instructions. We also don’t accept responsibility for any information about the accommodation that we pass on to you in good faith. Please be aware that the booking conditions of the principal will normally state that your stay can be terminated, with no refund, if the behaviour of your party falls below an acceptable standard. Principals will also often require you to pay for any damage you cause to the accommodation. We are under no obligation to you if any event such as this occurs. You agree to indemnify us for the full amount of any claim (including all legal costs) made against us by the principal or any third party as a result. Because the contract for your accommodation is between you and the principal, any queries or concerns should be addressed to them. If you have a problem whilst on holiday, this must be reported to the principal or their local supplier or agent immediately. If you fail to follow this procedure there will be less opportunity to investigate and rectify your complaint. The amount of compensation you may be entitled to may be reduced or you may not receive any at all depending upon the circumstances. If you wish to complain when you return home, write to the principal. You will see the name and address plus contact details in any confirmation documents we send you. We will of course assist you with this if you wish - please contact Customer Services. If the matter cannot be resolved and it involves us or another ABTA Member then it can be referred to the arbitration scheme arranged by ABTA, see clause 12. We are a Member of ABTA, membership number K2931. We are obliged to maintain a high standard of service to you by ABTA’s Code of Conduct. We can also offer you an arbitration scheme for the resolution of disputes arising out of, or in connection with this contract. Further information on the Code and arbitration can be found on ABTA’s website www.abta.com The arbitration scheme is administered independently by IDRS, part of the Chartered Institute of Arbitrators. It provides for a simple and inexpensive method of arbitration on documents alone with restricted liability on you in respect of costs. The scheme does not apply to claims for an amount greater than £5,000 per person. There is also a limit of £25,000 per booking form. Neither does it apply to claims which are solely in respect of physical injury or illness or their consequences. The scheme can however deal with compensation claims which include an element of minor injury or illness subject to a limit of £1,000 on the amount the arbitrator can award per person in respect of this element. The application for arbitration and Statement of Claim must be received by IDRS within 13 months of the date of your return from holiday. The booking information that you provide to us will be passed on only to the relevant principal or other persons necessary for the provision of your accommodation. The information may therefore be provided to public authorities such as customs or immigration if required by them, or as required by law. This applies to any sensitive information that you give to us such as details of any disabilities, or dietary and religious requirements. Certain information may also be passed on to security or credit checking companies. If you travel outside the European Economic Area, controls on data protection may not be as strong as the legal requirements in this country. If we cannot pass this information on as above, whether in the EEA or not, we will be unable to provide your booking. In making this booking, you consent to this information being passed on to the relevant persons. Many of the principals that we act for offer protection for your monies. This means that, if in the unlikely event of their insolvency your accommodation can't be provided, you will receive your money back or, if your stay has started, arrangements will be made for you to be able to continue as planned. 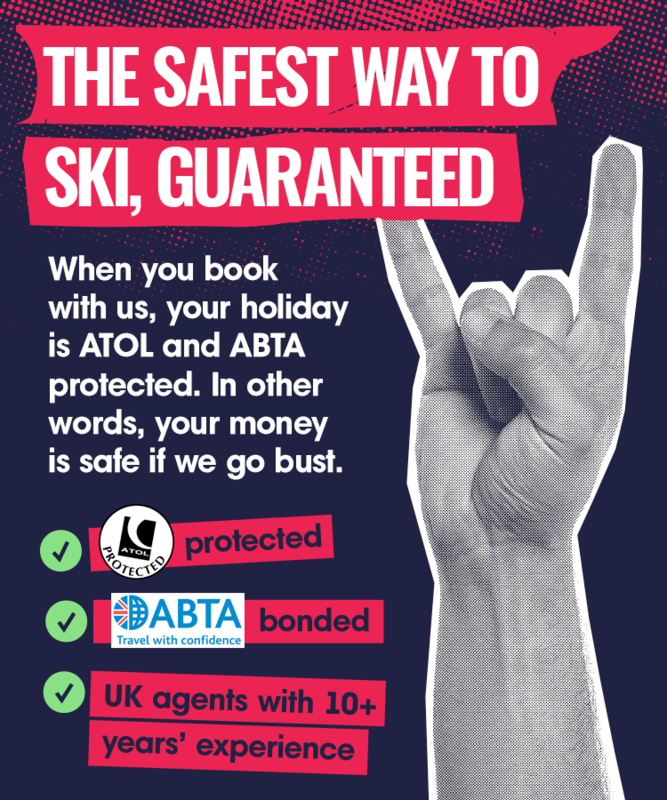 If the principal that you have chosen doesn’t offer such protection we may be able to offer suitable insurance cover under the ABTA Protection Plan. Please ask for full details.